The 2018 Dr. Martin Luther King, Jr., Celebration is sponsored by Celebrate Diversity Fox Cities, African Heritage, Inc. and the Lawrence University Diversity Center. The event is free, and the public is invited to attend. The keynote speaker for this year's event will be Aly Wane, s noted speaker, activist, and organizer originally from Senegal. 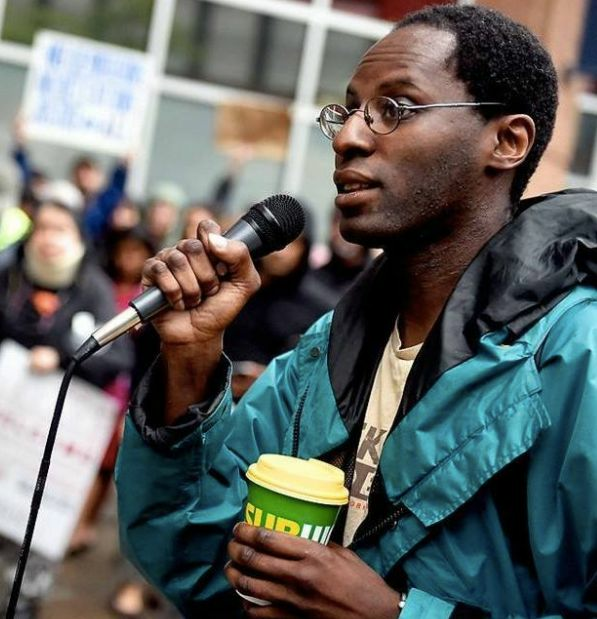 Mr. Wane has worked with various human rights groups including the Syracuse Peace Council, American Friends Service Committee, and the Black Alliance for Just Immigration. See also the Facebook event for this celebration. Join us to hear elected officials, experts, and local activists discussing issues and opportunities for making transportation more equitable, accessible, and greener… in the Fox Valley and around the state. How would you get to work, school, the doctor, or the store in Wisconsin if you couldn’t drive or afford a car? Did you know that transportation alone accounts for almost one-third of all U.S. greenhouse gas emissions? New technology, aging seniors, and Millennials’ preferences are radically changing the future of transportation... is the Fox Valley ready? FVTC is accessible by Valley Transit bus route 12. If you drive, park in the North Lot and use entrance 15. From there, room A158 is down the hall on the right side. Over 225 people—a full house—gathered at Liberty Hall last Sunday evening for ESTHER’s 13th annual banquet. The spirit in the room was amazing. ESTHER recognized Kris Clouthier for her exceptional, sustained efforts in sharing Latino/a stories through ESTHER’s Latino simulation, Walk in Our Shoes, as well as the “Voices of Hope” readers theatre. Bob Pedersen, President and CEO of Goodwill Industries North Central Wisconsin, was honored for his creative, energetic, and people-focused leadership of this truly transformative organization in the Fox Valley. It was great to be joined by many who were attending an ESTHER banquet for the first time. We especially enjoyed being joined by members of ExPO (Ex‑Prisoners Organizing) from the Fox Valley and throughout the state, as well as representatives from JOSHUA, RUTH, WISDOM and others. If you were there, you know what a great evening it was. If you missed it this year, do plan to join us in 2018! Due to demand exceeding the capacity of our venue, we have shut down online registration for the 2017 ESTHER Annual Banquet. Please contact us via email (office@esther-foxvalley.org) or phone (920-843-8083) to discuss options, including adding your name to a waiting list in case there are last-minute cancellations. We are sorry for the inconvenience. Join us for fellowship, a great silent auction, joyous music, a delicious meal, well deserved awards, and an altogether wonderful celebration. Join over 800 WISDOM leaders from across Wisconsin at the state capitol to advocate and educate legislators and departments about issues in the proposed state budget, including criminal justice, environmental justice, public health, education and public transit! Rev. Alex Gee, pastor of Fountain of Life Covenant Church in Madison. Ms. Lisa Graves, Executive Director, Center for Media and Democracy (CMD), a national watchdog group, investigating and exposing the undue influence of corporations in public policy. Cost: $25.00 - includes lunch, materials, and bus transportation. Scholarships are available. Buses to/from Fox Cities locations the day of the event. This event is a benefit for ESTHER, made possible by sponsorship of St. Thomas More Community, Appleton; St. Bernard Parish, Appleton; and Casa Esther, Omro. A free-will offering will be taken. Seating is limited. Reserve your place now. Join your Fox Valley friends for a fun, social and informative day as we learn together about the Wisconsin budget process and how to present our budget concerns effectively to our state representatives. A project of the Wisconsin Leadership Development Project (WiLD). Click 'Read more' for a flyer and a link to online registration. 1:00-3:00 pm - Hijab Celebration (meeting rooms A/B/C). Learn how to wear hijab and why it is an important tradition for Muslim women. There will be time to talk, ask questions, enjoy amazing free food! Meet new friends and celebrate diversity in our community! Proceeds benefit ESTHER’s work in building community, sharing hope, and standing for justice in Wisconsin’s Fox Valley region. 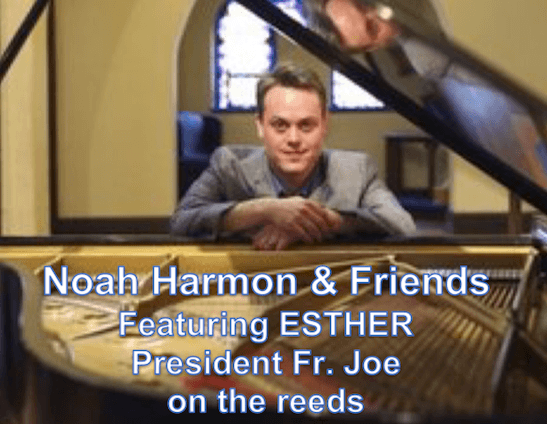 Music by Noah Harmon and Friends, including ESTHER President Fr. Joe on the reeds. 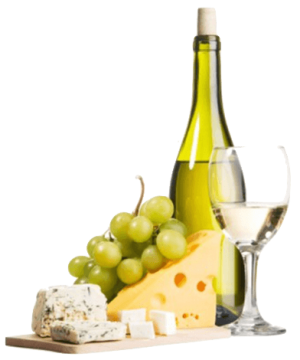 Admission includes a generous portion of jazz, two drinks and a selection of cheeses and desserts. Or call the ESTHER office at 920-843-8083 to reserve your place. Special thanks to the Fox Valley Unitarian Universalist Fellowship, an ESTHER member congregation, for hosting this event.